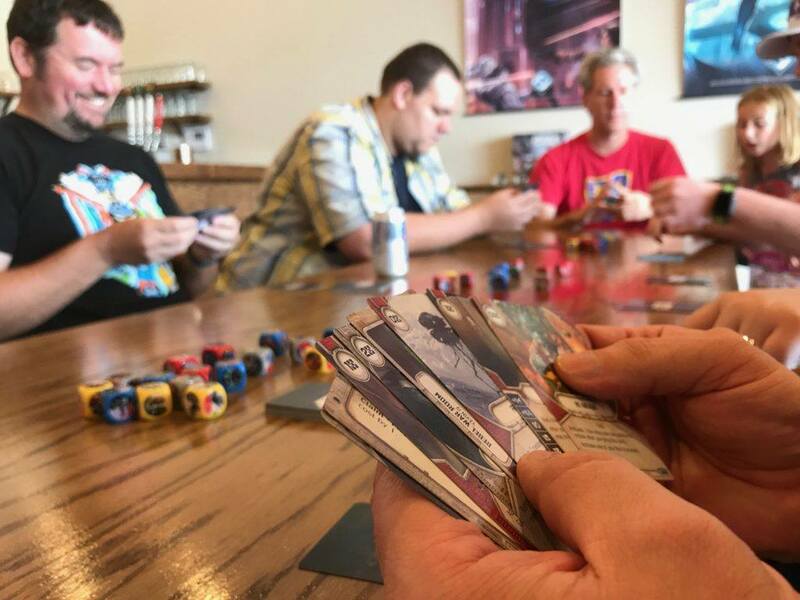 While I am often talking about how upgrades are overvalued in Star Wars Destiny (read this blog if you’re unfamiliar), I am fond of testing my own assumptions. This can be difficult, but in most cases ends up meaning I am forced to build decks that go against my own thinking. This led to the creation of one of the first decks I built after Spirit of Rebellion was released, one centered around Darth Vader, two First Order Stormtroopers, and the concept of getting as much value as possible out of upgrades. I had this sneaking suspicion that the blank manipulation cards in Spirit of Rebellion, like Anger and Force Lightning, were being underrated. I also was interested in both Training and Cargo Hold. Training could give me a second Stormtrooper die to fuel my blank cards and if I triggered Cargo Hold with Training in play, Darth Vader could become elite. After testing, the deck started coming into it’s own. It was a stark contrast to most of the decks I had been playing, especially in comparison to the Vader + Guard deck I won the Covenant Tulsa Store Championship with not long after. One night after a few test games against my brother Tim, I laid out my deck to take a long look at the deck. As I pondered changes that could be made, I had an unfortunate insight. The deck would plainly be better if I swapped Darth Vader for Elite Count Dooku. I find Dooku to be thematically out of place in the deck and quite simply, boring. I was must less interested in the deck, so I decided to put it away and move on to something else. A few weeks later, the day before a couple friends and I were set to travel to one of the last Dallas Store Championships, I was growing tired of my current decks and needed something fresh. 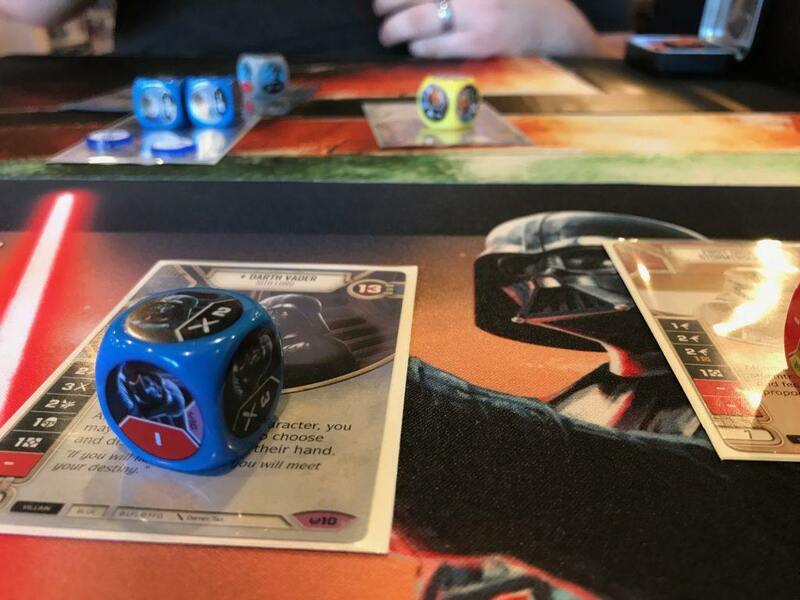 I decided to pull out my Vader Trooper deck, naively hoping to make tweaks that would get it to a place where I was comfortable playing it at the Store Championship. It may seem peculiar, but when I first put the deck away I was winning most of my games with it. Knowing it could be better by swapping to Dooku was the lethal blow that made me lose interest. I decided that even with sub-optimal characters, the deck would be more fun to use than my others and I could probably win most of my games anyway. As I sat there re-examining the deck though, I started to wonder if maybe I had not have taken my idea of switching characters far enough. Instead of just considering the switch to Dooku, I began to consider all the possible character combinations the deck could use. Was there maybe a set of characters even better than a switch to Count Dooku? Within minutes, I was at the table with enough time for about two games. The characters I decided to test were Elite Kylo Ren, FN-2199, and First Order Stormtrooper. This effectively meant I had upgraded a First Order Stormtrooper to 9’s (arguably the most powerful character in the game) and Darth Vader into Elite Kylo Ren. This was even more thematic than Vader and two troopers and as it turned out, quite a bit better. Early the next morning with two whole games of testing under my belt, I made a few last minute changes to the deck on our drive down to Texas. Among the most important changes, I added a second copy of Price of Failure and Boundless Ambition. The final deck list I took to the event is below. Early on, the deck plays similar to any 9’s deck. You play weapons on 9’s and squeak out as much value as you can. By the mid to late game, your opponent’s will start to see a big difference! Instead of a relatively weak Unkar remaining once 9’s is defeated, you have a threatening Knight of Ren. Again, the deck centers around one key concept, getting as much value out of it’s upgrades as possible. You get a lot of added value from redeploy, but even more fuel is added to the fire with Price of Failure and The Best Defense. Stacking upgrades on 9’s serves to mark him as your opponents primary target. As he gets closer and closer to defeat, playing Price Of Failure or The Best Defense on 9’s to force an early redeploy and either ready Kylo or remove two enemy dice can win games. Because the deck nearly forces your opponent to attack 9’s first, this all but guarantees that your Stormtrooper will also be available for Price of Failure and The Best Defense. These are both the kind of cards that can be dead at certain points in games, so knowing they should be playable makes them a lot better. The deck has a lot of turns that can surprisly just end games, so keep your eyes peeled! Even when it doesn’t hit those game ending turns, the deck tends to be ahead in the late game. I end either blowing an opponent out or ending in a one on one situation with Kylo. At the Store Championship, there were 33 players and I ended up going 5-0 in Swiss! I was paired against my brother Tim in the Top 4, who was playing a nasty version of 9’s + Unkar. He hit both his Thermal Detonators on the first two turns, which was too much for my deck to handle! You can read his report about his deck and this event on his blog. All in all, I was very happy with this deck. Not only was it supremely fun and fresh, it was a very strong deck that can win when an opponent least expects it. If you are getting a bit tired of your current decks and looking for a way to freshen things up before Empire at War, I strongly recommend switching up your characters and seeing what happens!